Among the olive trees of the ancient Alica farm, on a hill dominating the whole Valdera (Era Valley) and the Roglio Valley, there stands the old building whose features, both formal and com positive, witness the strategic importance of the defensive system of Alica. It was surely a military structure whose tower was incorporated in the present building in the 16th century. The remains which are still visible, embedded in the wall structure, confirm its dating back to the Medieval period and early sources attest its presence since the 10th century. Since 1687 it has been widely described in the "specimen" of the Alica "Grancia", an ancient Etruscan and Roman little village in the Valdera. Even today, in the surrounding woods, remains of armors dating, back to the ancient battles during the several sieges of Alica castle, can be found. Besides being owned by various religious bodies, the "Grancia" has also seen, in the recent centuries, the passing of large noble houses whose signs are still visible in the landscape and the villages nearby. For its unique position in the landscape, the Larino Villa is one of the most popular and longed-for destinations for hunting in the Valdera. 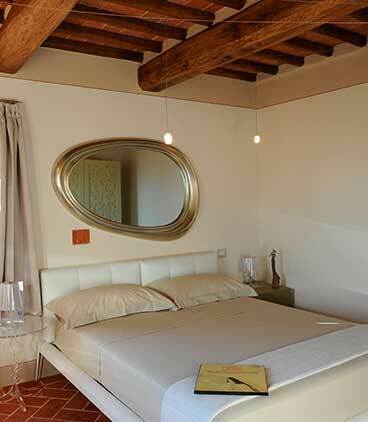 Larino Villa is situated on beautiful natural terraces of olive trees and green lawns that create a rich shadows and quiet environment, perfect for walks and quiet moments. 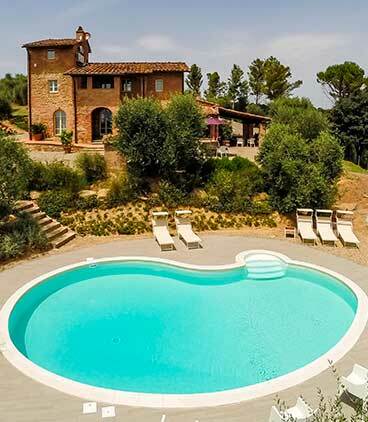 The villa is on two floors, topped by a tower from which you can enjoy the beautiful view of the Tuscan hills, unique in the world. The restoration was carried out respecting its original structure. The spacious living areas and four elegant rooms, furnished in a style that binds ancient and modern in a very real short, create the 'perfect setting for a holiday of comfort and the best relaxation. 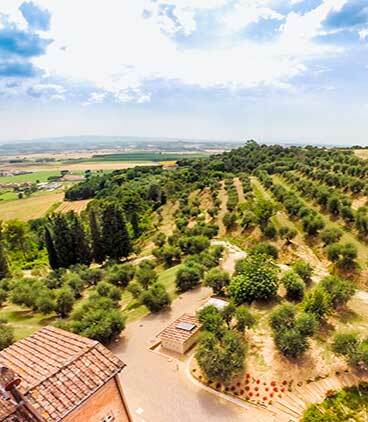 The seven hectares of olive groves that surround the property offer the possibility of long walks and the large pergola and the large wood-burning oven guarantee unforgettable moments of relaxation and convivial. The internal spaces, tastefully furnished, air-conditioned and equipped with color TV sets with satellite reception. 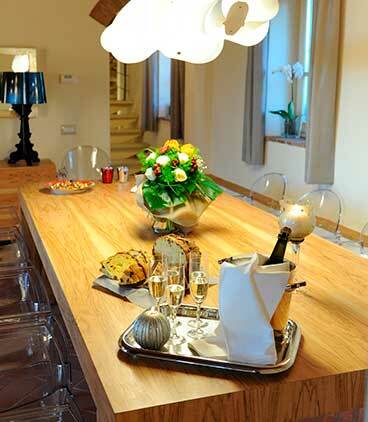 The ground floor consists of the living-dining area, the kitchen equipped with every comfort. Access to the upper floors you have either by an external stone staircase and through the spiral staircase in steel and wood. 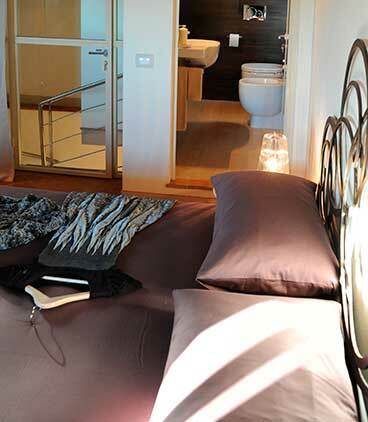 The property includes building a tower which is the most original architectural elements of the villa and characteristic; in it they open the room "of the Poet room" and the bathroom.